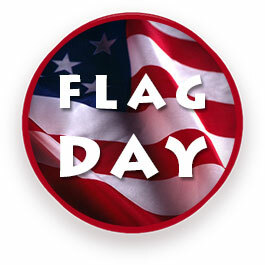 President Woodrow Wilson proclaimed June 14th as Flag Day in 1916. 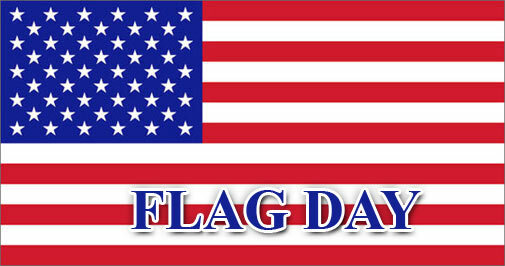 Congress established National Flag Day in August 1949. 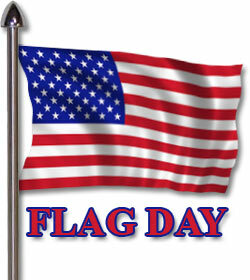 Flag Day commemorates the adoption of the flag of the United States of America by resolution of the Second Continental Congress in 1777. Displaying the flag honors the history and heritage of the American flag. 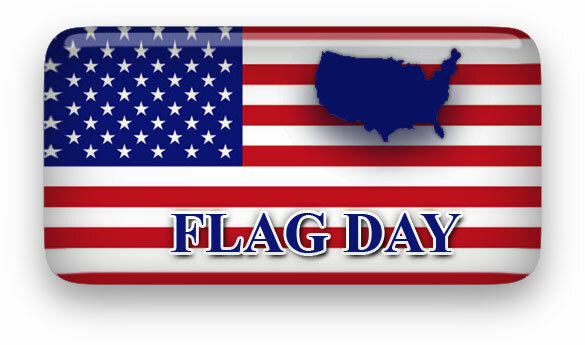 Select Flag Day clipart images for print view. Flag Day with an American Flag overlay and a little animation. 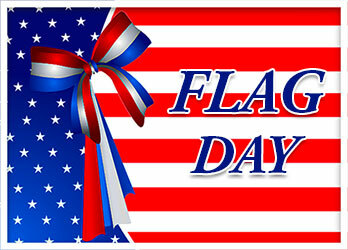 Commemorate and celebrate The Flag of The United States Of America. A boy holding an animated American Flag. American Flag with America Map outline and words Flag Day. 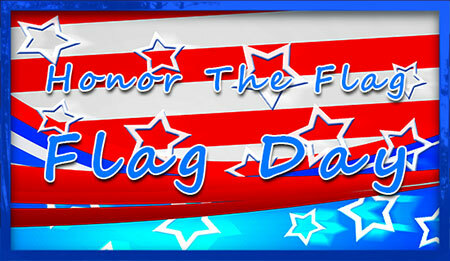 Flag Day sign with glitter animation. 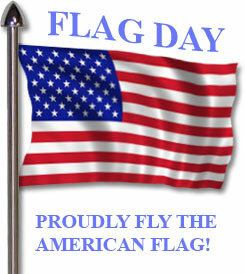 Flag Day - Proudly Fly The American Flag. Rustic home flying The American Flag on Flag Day. 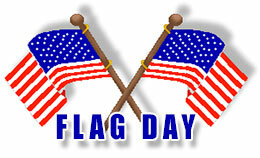 Flag Day with crossed flags. 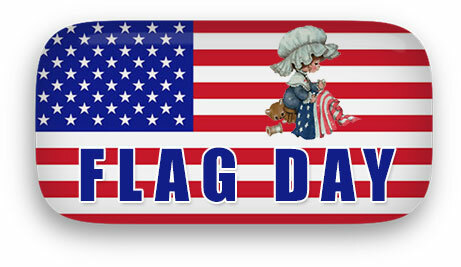 Flag Day on an American flag button. American Flag on flagpole with words Flag Day. American Flag with a soldier saluting - Flag Day. 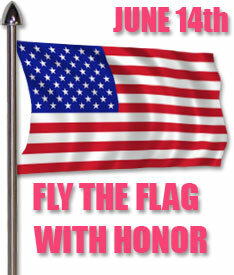 June 14th - Fly The Flag With Honor. Nice home displaying the American Flag. Happy Birthday Army - Same day as Flag Day. Flag Day with an American Flag design and white frame. Flag Day flag with a little glitter. A woman waving an American flag with pride. The American Flag and an American Flag hot air balloon flying over a lighthouse on Flag Day. Small animated American Flag on flagpole. Betsy Ross working hard on the American Flag for Flag Day. 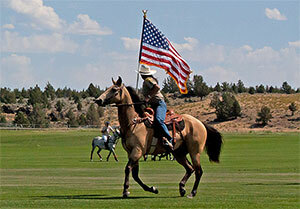 Flag Day - American Flag with Cavalry Soldier. 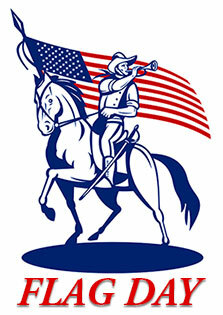 Horse and rider with The American Flag. American Flag waving on a flag pole. 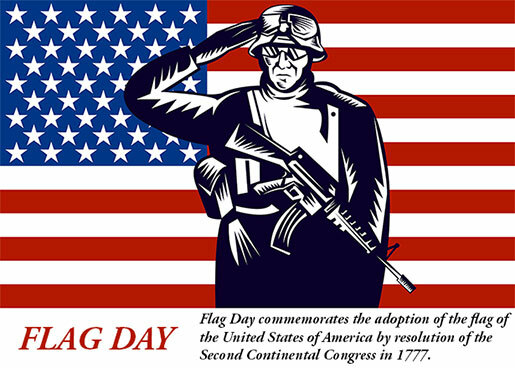 Honor the flag on Flag Day. Flag Day - PNG image with transparent background and perspective shadow. Happy Flag Day with a patriotic eagle and animation. Flag Day with red, white and blue ribbon and a white border. Flag Day with American Flags on white. Flag Day flag stars and stripes. Flag Day with American flag plus glitter animation. Large American Flag with the words Flag Day in blue and white. 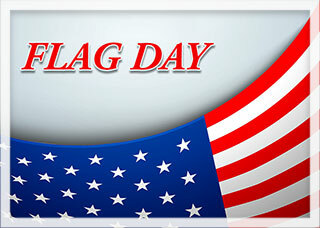 Our free Flag Day clip art images may be used on your personal, non profit educational (including school projects) and social networking pages. 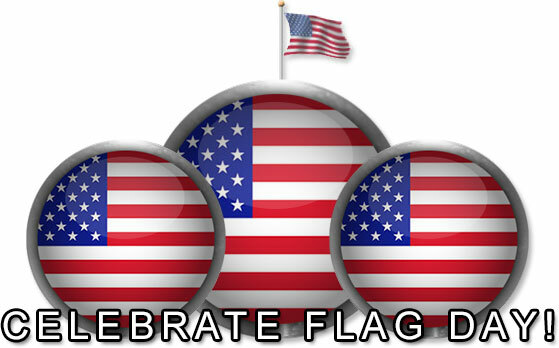 If you save and use our free Flag Day clip art please give us credit for our images. Thank You.